My one-of-a-kind membership and community where I take you behind the scenes of my business and life and get in the trenches WITH you so that we can take 100% responsibility for our lives together. 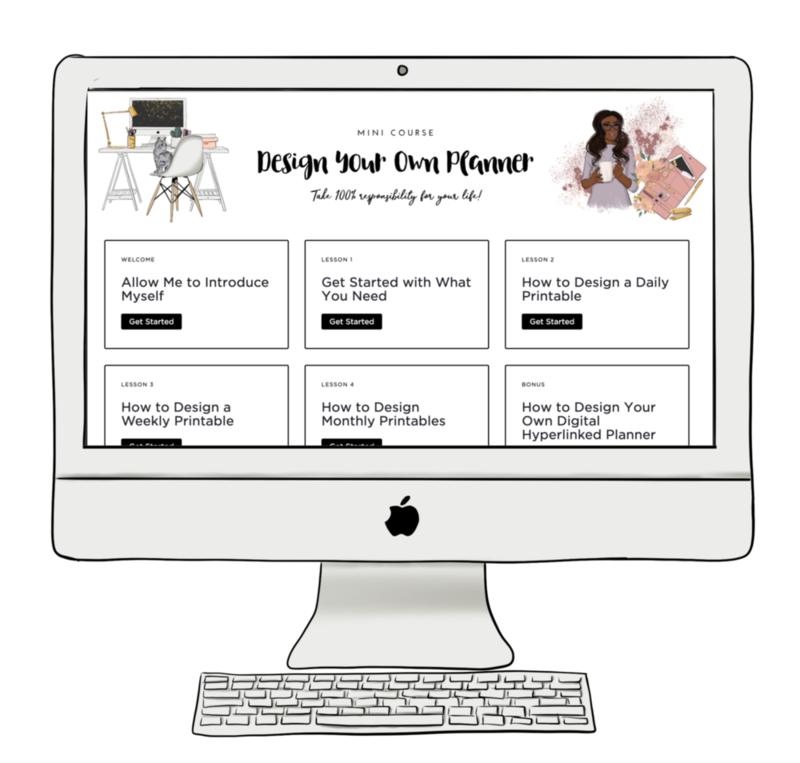 My step-by-step, down-to-earth course on how to make passive income selling printables on Etsy. See how to take advantage of an established marketplace like Etsy and leverage the compound effect magic of Pinterest to turn your printables into profits! Click here to see the Etsy shops of students who went through the course. Have you always wanted to design your own planner printables? Now you can! Imagine having a planner full of pages that suit your needs, style, and preferences perfectly. This mini course will help you your perfect planner to life in no time. 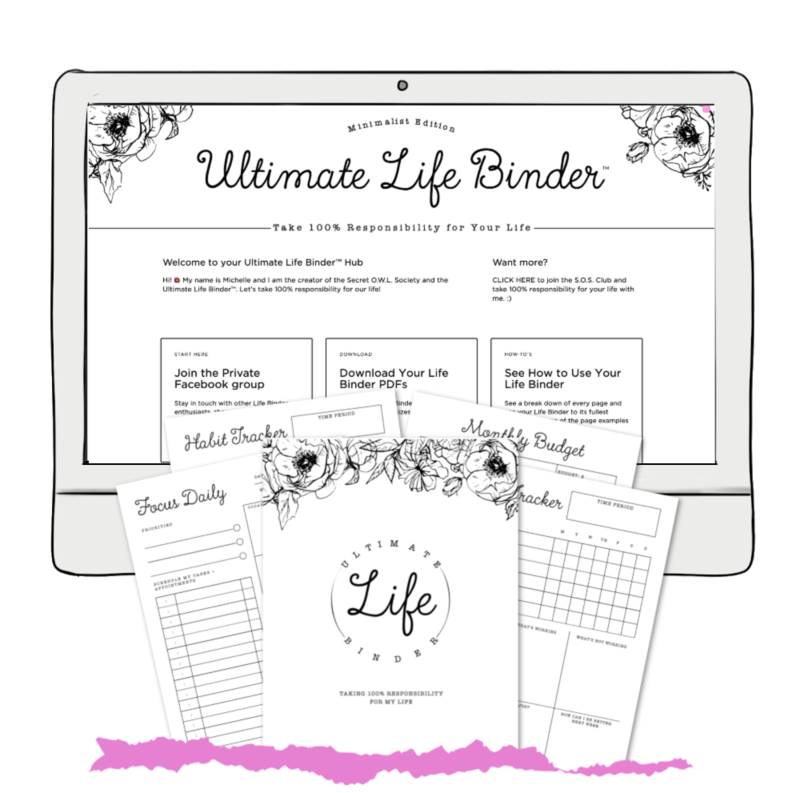 Enjoy the useful and quirky bullet journal style of this Life Binder in either printable or digital format! Whether you love using a paper planner or a tablet-friendly one, this edition has you covered. 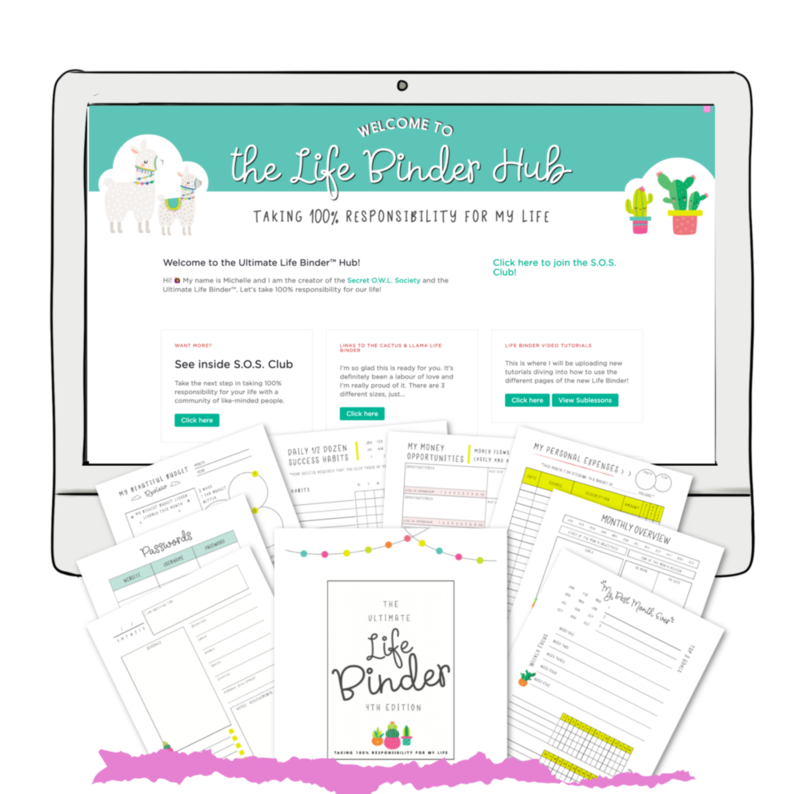 Take 100% responsibility for your life with this 64 page planner printable designed to help you move every area of your life and biz upward and onward! This edition is full of 26 minimalist & elegant printables crafted to help you stay organized and have clarity around your life with just the printables you essentially need.